Karen is my name but I have been using the nickname strawbeari3 for as long as I can remember. I was born in Malaysia, where I spent most of my early childhood and teenage years. I came to Brisbane solely to get a university degree, but ended up falling in love with the city. The rest is history…..
Married with three kids: a furbaby who thinks she is a princess and two boy who are treated like princes. Our furbaby has her own Instagram page. If you are a pet lover like us, click here to visit Fluffball McNuggets on Instagram and follow her doggy adventures. I started blogging to share my travels in Canada with friends and family. Upon returning to Brisbane, I decided to continue blogging about my passion for food, both creating and eating. I don’t claim to be an expert in food critique and have tried to provide an unbiased view based on my own opinions. Aside from blogging, I enjoy baking and cake decorating. 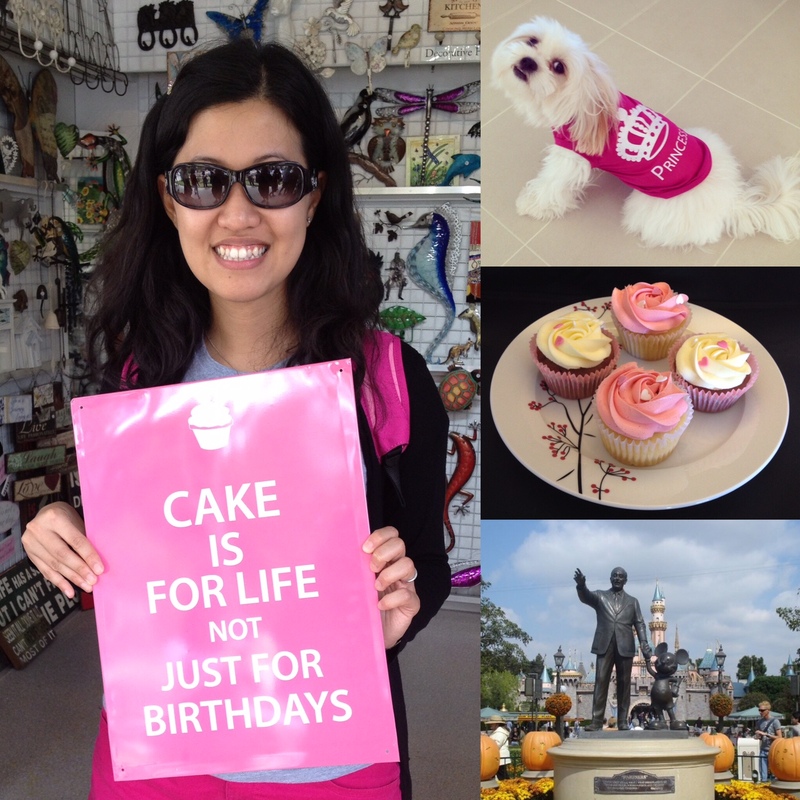 I’ve taken several lessons in cake decorating and have baked for family, friends and various fundraising events. If you would like to get in touch, fill in your details on the Contact page. This is a personal blog written by me. The views and opinions expressed on this blog are purely my own. If I claim or appear to be experts on a certain topic, it is purely based on previous experiences. This blog does not accept any form of cash advertising, sponsorship, or paid topic insertions. However, I will and do accept free products, services, and other forms of compensation from companies and organisations. Any compensation received will be acknowledged in the post and will not influence the content of the posts made in this blog.